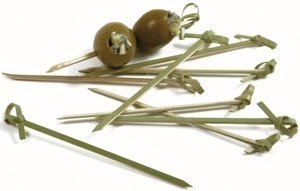 These Bamboo Knot Picks have a fancy knot design at the end of each pick. Offering guests this sanitary option will be greatly appreciated. These are made of 100% bamboo which is a renewable resource.